Coming off a pair of features with the likes of Comethazine & Rocket Tha Goon, LL favorite Famous Dex is back in his own spotlight with the incredible new visual for Gun Fight. Courtesy of his go-to shooter known as Chief Will, the title gives away the majority of the cut as Dex can be seen bodying the unearthly production while playing with a few of his favorite toys. The Chicago natives last visual for Spalding that dropped in June was undoubtedly one of my favorite Dex videos in recent memory but after peeping this one a few times, it’s safe to say he has outdone himself once again. 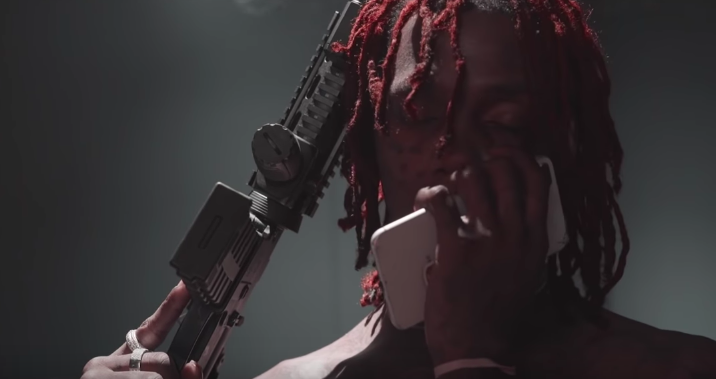 Make sure to kick-off your weekend with Famous Dex’ fresh song & visual for Gun Fight and let us know if you’re feeling the new heat in the comments below!